Take an espresso, mix it with Che Guevara books and poetry nights, and you get Revolutionary Grounds Books and Coffee. 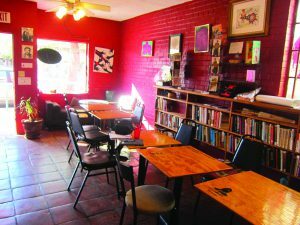 Located at 606 N. Fourth Ave., the Revolutionary Grounds is a center of Tucsonan activist culture. The shop offers a range of progressive literature with sections devoted to women’s rights, Latin American and indigenous history, and a children’s section. 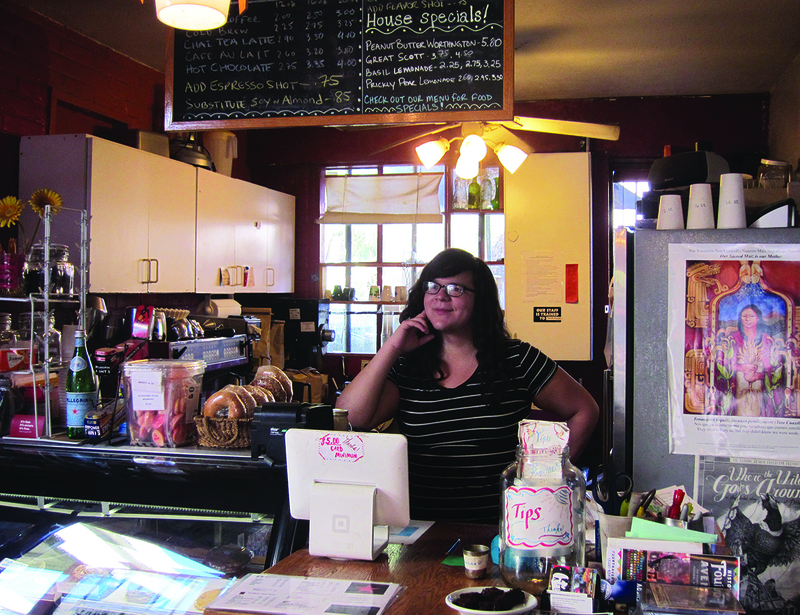 Opened in 2008 by husband and wife Paul Gattone and Joy Soler, this cafe has found its own unique place among the other shops and cafes of Fourth Avenue. It’s small and comfortable, and its dining, reading and patio areas make Revolutionary Grounds feel like it could be found among the hipster coffee shops of Portland or Seattle. 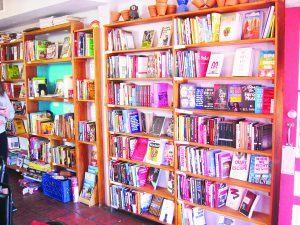 One of the best things about coming here is that the library is open for all to read, and customers are not discouraged from spending as much time as they want browsing and reading the large selection of books in the shop’s comfortable atmosphere. Revolutionary Grounds also sells bumper stickers, shirts and other merchandise. The cafe offers a number of espressos, coffees and teas. It also features a full menu that offers vegan options including soups; sandwiches such as the BLT and panino; and homemade desserts including a large portion of triple chocolate cake. It also carries a great selection of local honey. Aside from being a cafe and bookstore, Revolutionary Grounds hosts events and political study groups. It’s a solid spot for students majoring in any of the social sciences as well as human and environmental rights. Events are dedicated to women’s studies, LGBTQ rights and open poetry nights. Groups such as the Tucson Water Protectors have also met here. These events are great for anyone looking to meet interesting and eccentric people involved in the wider Tucson activist community.